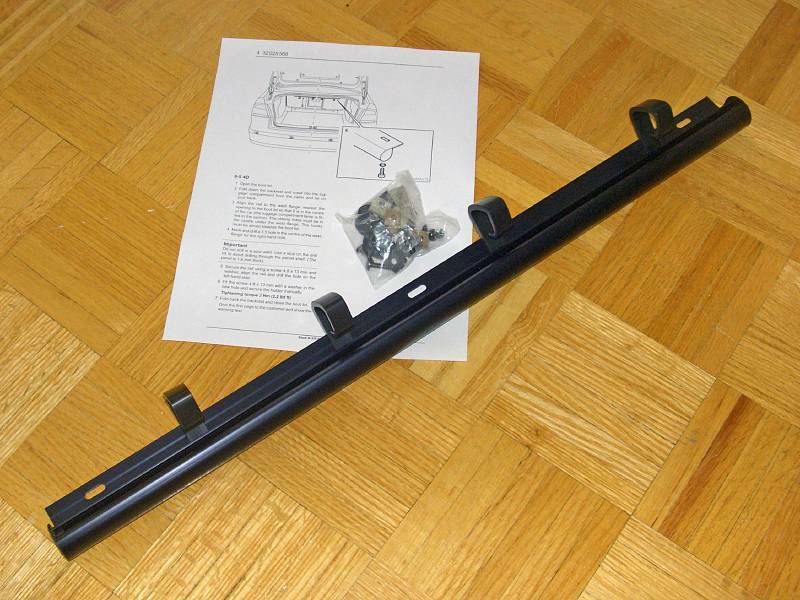 The kit comes with mounting hardware to install it on all supported car trims and includes assorted screws, nuts, washers and plastic screw caps. 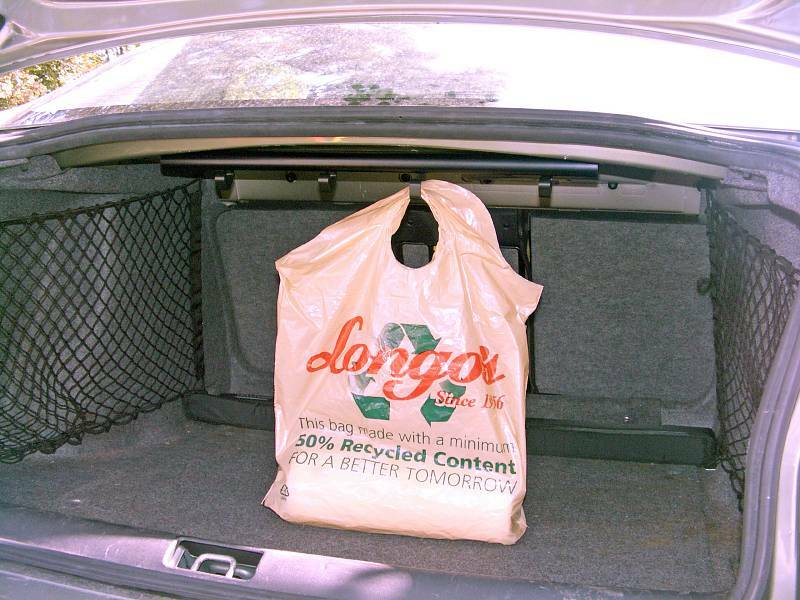 Open the trunk, and optionally lower the rear seat. 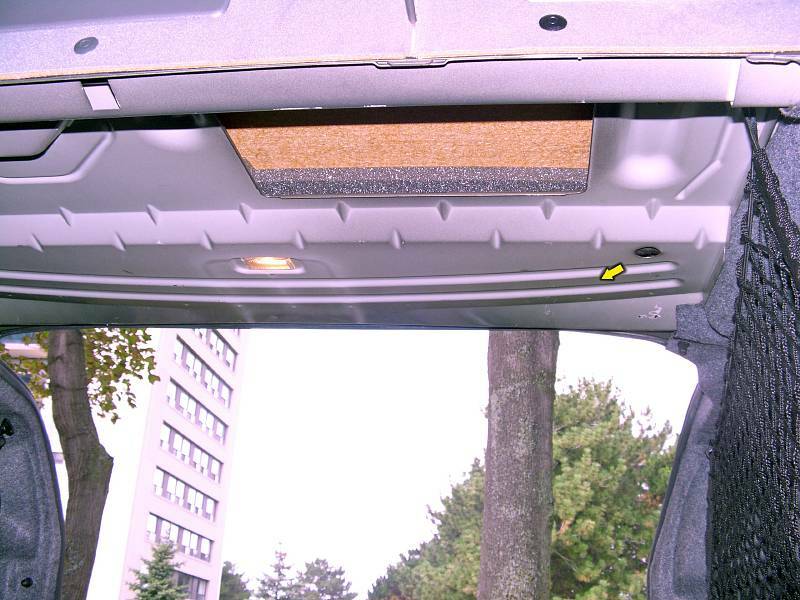 Find a suitable install location close to the outer edge of the trunk. Make sure the holes you marked are well away from the spot welds. 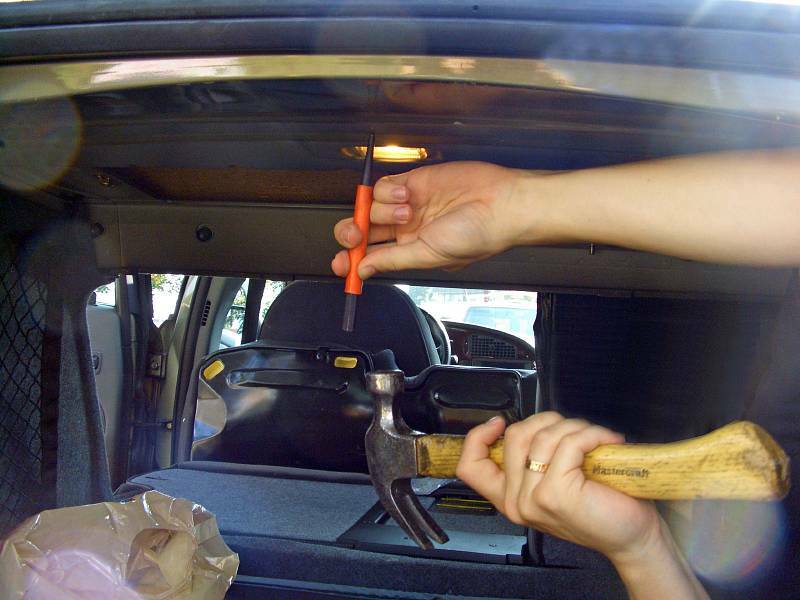 Use a centre punch on the middle hole. Watch your fingers! 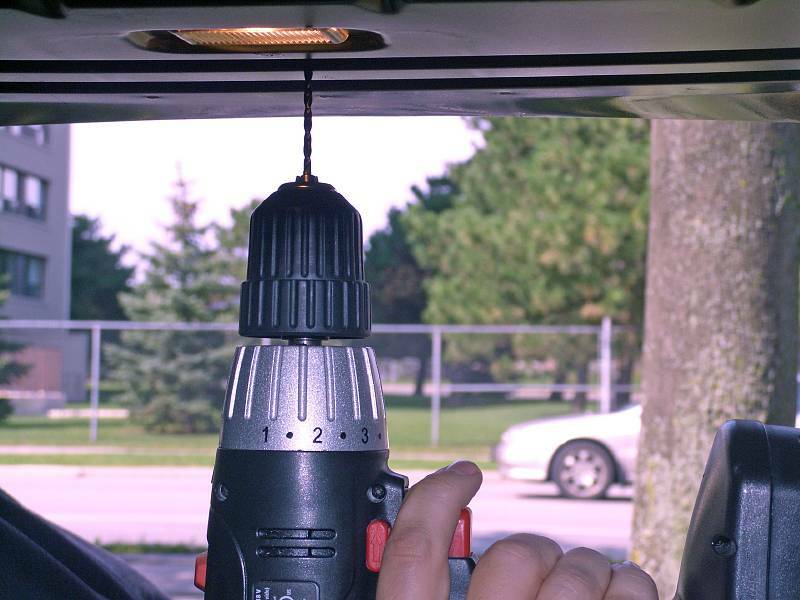 Drill the middle hole using a 1/8" bit. 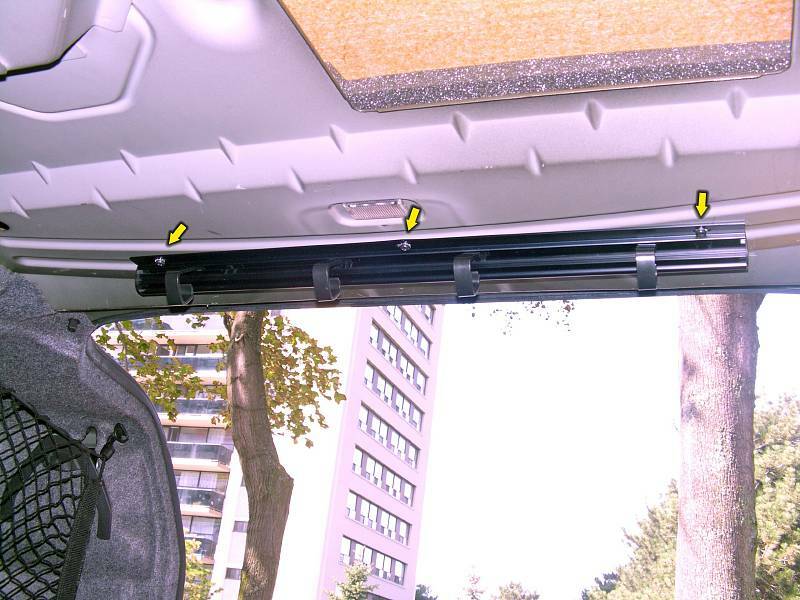 Use a drill stop so it doesn't go through the parcel shelf and into the glass. Fit the middle screw and make sure you marked the outer holes correctly. 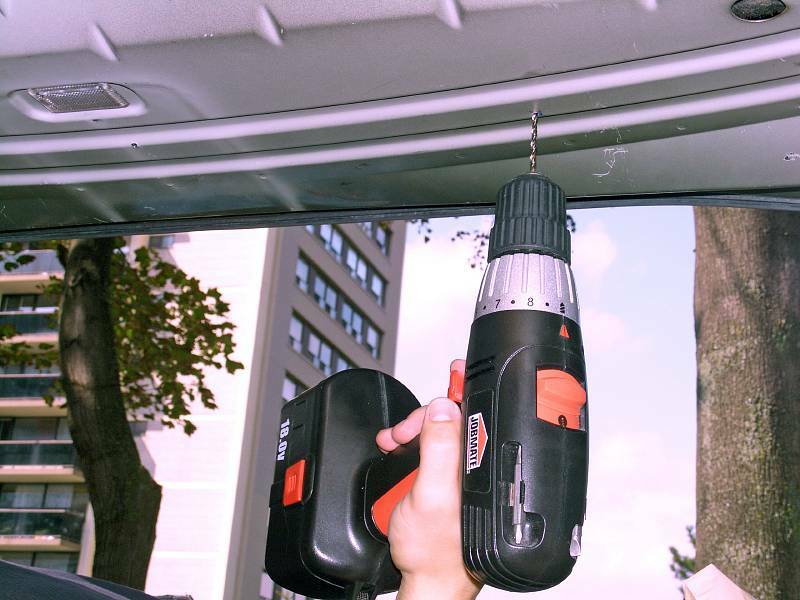 Undo the screw and remove the holder. 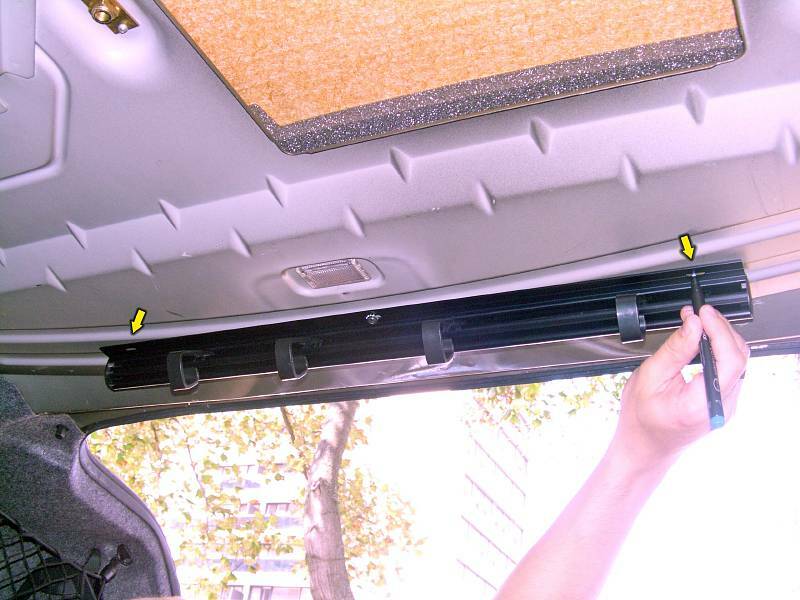 Install the holder and tighten all three screws with star washers. 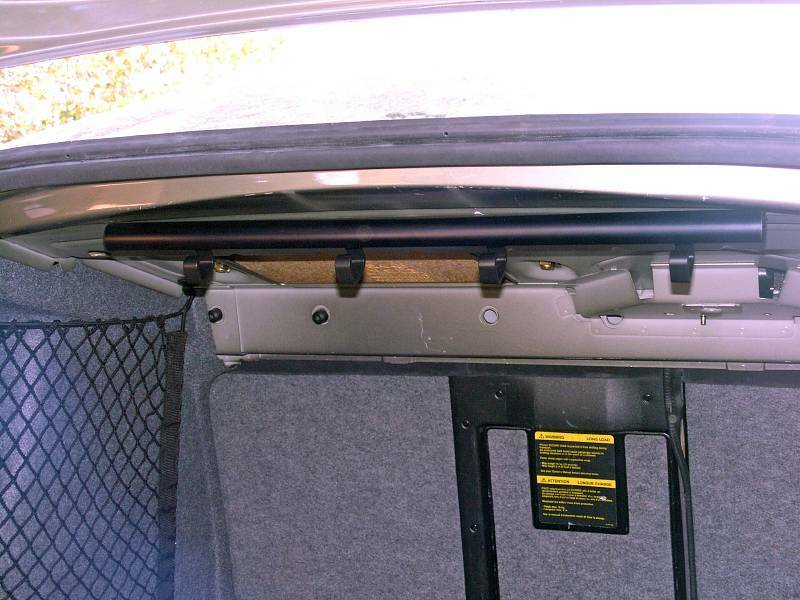 The hooks should be aimed towards the opening of the trunk. 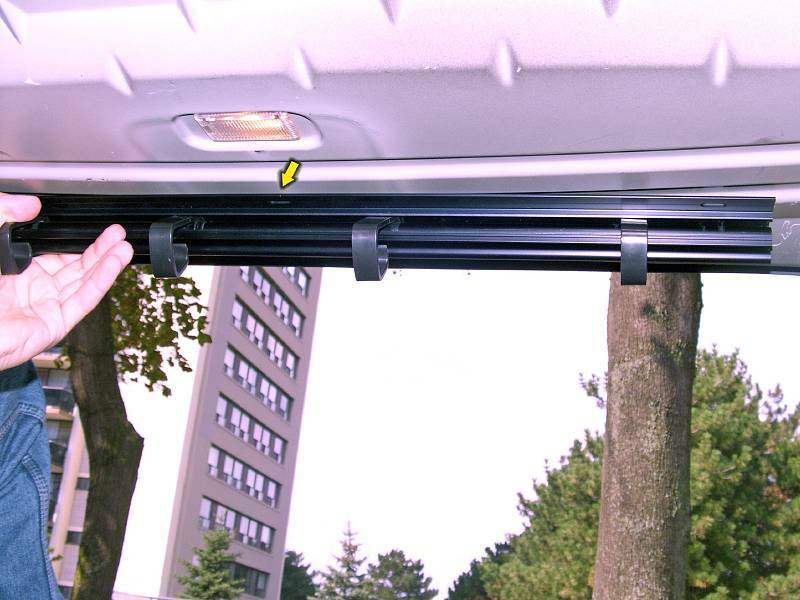 The hooks can slide left and right along the rail, and you can also fold them to about 45° when they are not used.